Black powder is an expensive issue the industry battles daily. It affects instrumentation, measurement equipment, compressor components, filters and separators, as well as some pipeline integrity programs. Millions of dollars are spent to remove black powder, and hundreds of thousands are spent to correct damage caused by black powder each year. There is little (if any) public data on the amount pipelines spend on prevention. 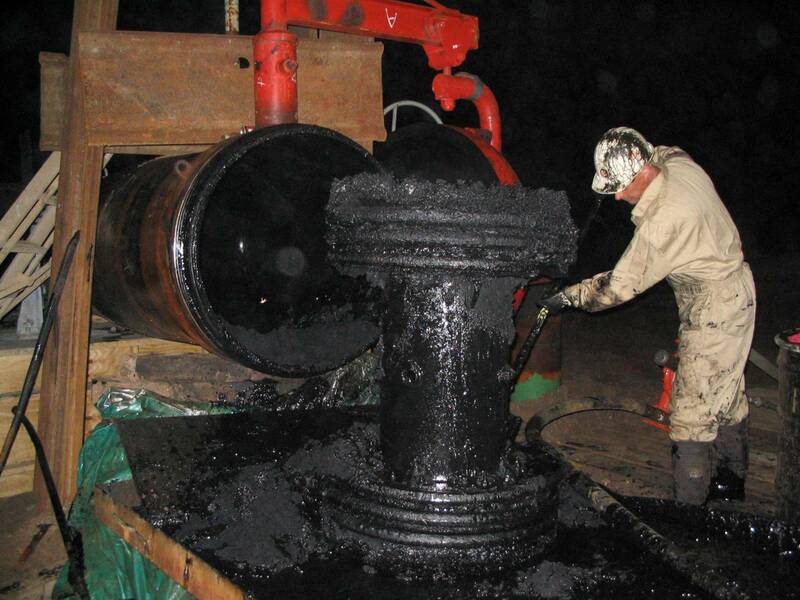 Black powder is generated during gas production and in wet gas pipelines through a chemical reaction of hydrogen sulphide, water and iron or by bacterial corrosion of the steel. The powder is then distributed through the pipeline with the gas flow, but is deposited when the velocity is not high enough to keep it moving (Dr John Smart – “Movement of Black Powder in Pipelines”). As sediment is deposited, the flow in the pipeline is disrupted and reduced, thereby allowing more sediment to accumulate. System through puts are affected and energy costs increased to maintain design flow rates. 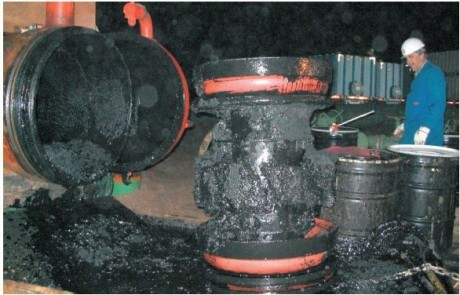 Blockage can occur especially during cleaning and damage caused to plant such as compressors. 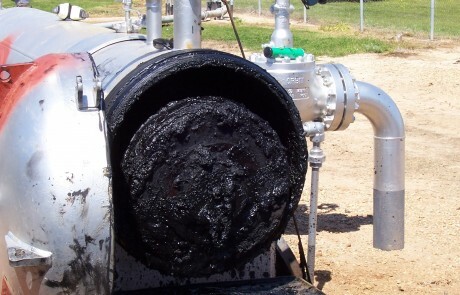 How does Pipeline Pigging Prevent Black Powder Build-Up? There are two methods of pigging: physical and chemical. Both methods play an important role in the management and prevention of the formation of black powder. Chemical Pigging is accomplished by injecting either an oil-soluble aqueous chemical agent into the gas stream depending on the nature of the deposit, operating parameters of the pipeline and solvent compatibility. 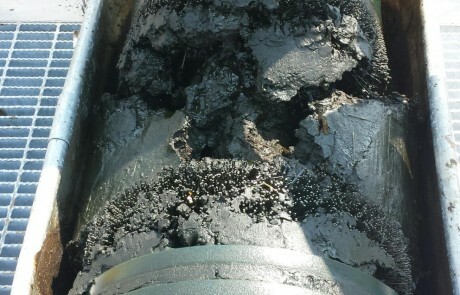 Physical pigging is accomplished by inserting a cleaning tool (pig) into the pipeline. The pig is equip with specialized components and accessories that effectively scrape the inside of the pipe wall as compression pushes it through the pipeline. Inline’s ISTE® series and Pit Cleaning Pig® are both excellent examples of pigs designed with specialized components to effectively clean black powder. Like any job, you can have all the right tools, but if you don’t know the correct way to use them, you won’t achieve the desired result. For example, when using physical pigging to remove black powder, if there are a large amount of deposits, removing too much at once could plug the line and methods such as progressive pigging or bypass pigging will minimize the risk. It pays to invest in a pigging expert with black powder experience to assist in assessment and development of a pigging program. Every application is unique and there are many factors to consider when developing an intelligent pigging program to prevent and remove black powder. Black powder removal experts like the team at Inline Services can make sure you are using the right tools, at the right time, to get the job done right the first time. Inline services can assist you and/or your maintenance team in assessing if pipeline pigging makes sense for your particular project. Contact us today Toll Free: 888.973.0079 Local: 281.401.8142.